1. 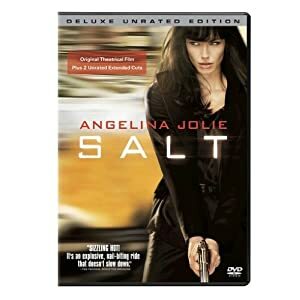 Salt.- One of Angelina Jolie's best movies. It is so much fun to watch, and proves that women are just as good as action stars as men. The action in this movie is great, but it also has a suspensful twist that leaves you wanting more. Rated PG-13. 2. 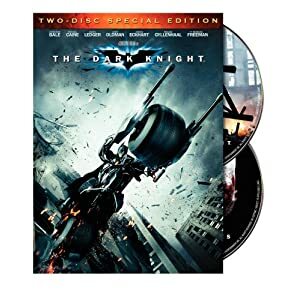 The Dark Knight-The Dark Knight is a brilliant masterpiece that got 4 stars. It stars the late Heath Ledger as the legendary Joker. One of the best movies ever made. Rated PG-13. 3.Taken- A great fast paced action thriller about a man trying to save his daughter who was kidnapped by slavers. Rated PG-13. 4. Wanted-Another great action thriller starring Angelina Jolie. It is very entertaining for all adults. Rated R.
5. 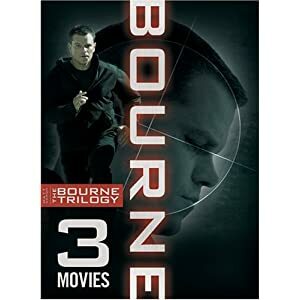 The Bourne Trilogy-All three of these movies are action packed, and Matt Damon does a great job portraying the character. This series is especially great for the guys. This is about a man who is on the run for his life. Rated PG-13. 6. 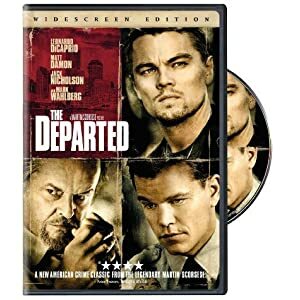 The Departed- A great action packed thriller with a very famous cast from Leonardo Dicaprio to Jack Nicholson. This movie has it all, and it leaves you at the edge of your seat until the very end. A man goes undercover to get his identity back in the streets of Boston. Rated R.
7. 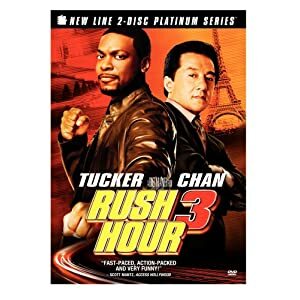 Rush Hour series-Even though these movies are funny, I put it into action because it is packed with it. They are so funny and the stunts are just as good. Two Partners go undercover to serve and protect! Rated PG-13. 8. 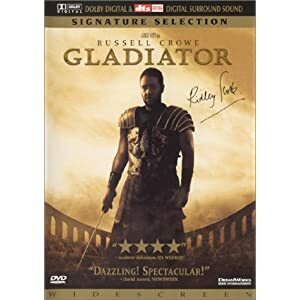 Gladiator- A great historical action movie that all action lovers, and historical lovers should see. One of Russel Crowe's best. Rated R.
9. The Italian Job-This action thriller about a bunch of thieves is great entertainment,and has a great cast. PG-13. 10. 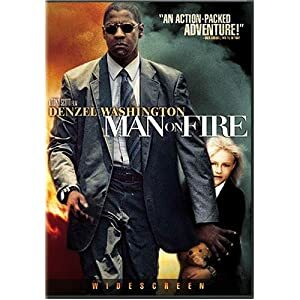 Man on fire-This is a really good movie with a lot of heart, action, and tender moments. Denzel and Dakota do a fabulous job with their characters. It is about a little girl who gets kidnapped, and her bodyguard will do anything to protect and find her. A must See! !Rated R.
Action movies are great to see other people do what we would never attempt. Watch these fun action packed films that will make you want to do it too!! I have never been that crazy about action movies, but I know the guys love it and these are some good suggestions for the women to watch as well.